Great opportunities in the real estate market continue into 2015. Rising home sales are a result of amazing interest rates that began to fall early in 2014 and continued all year long. 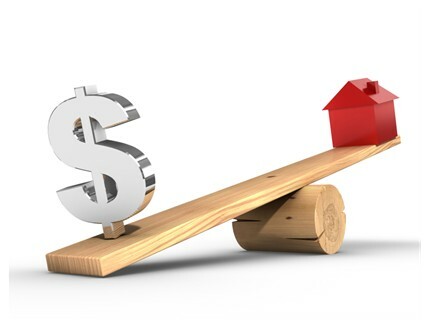 In the early part of January 2015 many economists believed that trend would be at an end, but instead, despite a momentary glitch in February, rates have continued to fall giving home buyers and home owners looking to refinance an abundance of options for saving money. Home owners are also eager to list homes now since the low interest rates have caused an increase in housing values. Homes that were once under water are now valued at the prices they deserve. Rates on conventional 30 year mortgages are below the perceived tipping point of 4%. This is the lowest interest rate on home loans since 2013 and near the all-time low in recorded history. Some lenders are quoting APR and interest rates in the 3s, and FHA as well as VA loan rates are even better. Low interest means a savings of thousands of dollars over the course of a loan, but the interest alone isn’t the only thing spurring the new housing market boom. Lenders are now offering many low and no-down payment options that help those looking for a home to realize their dreams. For many people still recovering from the difficulties of the past decade, paying a monthly mortgage isn’t the real stumbling block to owning their own home. Getting a large lump sum of money together for a down payment is. New industry programs such as the Conventional 97 help those looking for a home get approved for a mortgage with little money down. Programs like the Conventional 97 also allow home buyers to accumulate the money for a down payment from a variety of sources including gifts from family and friends, instead of solely relying on savings. The days of having to have a lot of money to put down on a new home are in the past, at least for now. Buyers today can apply for home loans with far less money than most people think they need. In the past it was necessary to have as much as 20% down payment to even be considered for a home loan, but that’s not true today. In fact, those figures haven’t held true since 1934 when the FHA began its program to help home buyers get a chance to own their American dream. The main reason most home buyers think it is necessary to have so much money to put down is due to the requirements of conventional mortgage insurance. When home buyers seek a conventional 30-year mortgage from a bank they need to also obtain private mortgage insurance. Insurance is the bank’s requirement to protect themselves from default on a loan. The cost of that insurance depends on several factors including buyer’s credit history, the size of the down payment (equity in the loan), and even the state. First time buyers often put off even thinking about buying a home because of this enormous closing cost. It should always be something to look into, but it isn’t something home buyers need to be afraid of anymore. Like most things, however, home owners really need to focus more on the long term affordability of a mortgage. If a home buyer can make monthly payments on a mortgage, it is a lot easier now to get started with little, or even in some cases, no money down. It does stand to reason that home buyers should still try to accumulate as much money down as possible. The more money put down at the start of a loan the lower the monthly payments will be. Many home buyers put down a large amount at the beginning in order to get a shorter loan period. However, it is important to avoid a situation known as being “house poor.” Financial experts define this notion as a situation where people put all of their money down on a home and leave themselves with no emergency funds or enough money to deal with every day expenses. It is far better to be conservative and opt for home loan options that allow for smaller down payments than it is to be strapped for cash and possibly taking years to rebound. FHA is the acronym for Federal Housing Authority. This organization was developed post-depression to help Americans once again afford to buy a home following the severe economic conditions of the times. During that time banks had outrageous requirements in order for an applicant to be eligible for a simple home loan. In most cases loans had to be repaid within 5 years, and huge down payments were necessary. The FHA is not actually a loan company, even though they provide what are known as loan programs. The FHA doesn’t work with applicants at all, in fact. What they do is give banks assurances that the loans they provide home buyers will be covered in the event of default as long as applicants meet the basic requirements set by the FHA. These requirements have come to be known as the FHA mortgage guidelines. The requirements for FHA loans are well known for their liberal standards and low credit score requirements. FHA loans typically allow home buyers to accept gifts from family and friends in cash for down payment use. They only require a credit score of 500, and all mortgage insurance is paid at the start of the loan rather than as a monthly added fee to the mortgage payment. There are even programs that help people who have recently had issues with foreclosures and short sales, dealt with bankruptcy and special loans known as HAWK that reduces the mortgage premium on an FHA loan. FHA loans are available on any principle residence and have extra high ‘ceilings’ for high cost areas in the country of up to $625,000. Certain areas have a high cost of living ratio and housing costs are generally higher in those places. The FHA allows for that in cities such as Washington D.C., the New York City boroughs, Los Angeles and San Francisco, California and other like areas. In 2013 the Conventional 97 program was discontinued. However, it was brought back by the FHA in the late months of 2014 with better guidelines for home owners. This program is available through all Freddie Mac and Fannie Mae loan programs, and allows home buyers to put down as little as 3% at closing making it even more affordable than a traditional FHA loan. • Loans must be $417,000 or less in any market area. • Home must be a single family, single unit home. No multi-unit homes are eligible for the program. • The mortgage applied for must be a standard fixed rate mortgage with no ARMs. • There is no minimum credit score requirement for a Conventional 97 loan. The VA offers veterans and their families many great home buying opportunities. VA loans require no down payment at all, and all members of the military and their surviving spouses are eligible. To be eligible for a VA loan, applicants must have served in the American military and either be actively on duty or honorably discharged. Members of the National Guard and the Reserves are also eligible after they have at least 6 years of service completed, or if they have been killed in the line of duty. There is no insurance required on a VA loan and the size of the loan can go as high as $1,094,625 in high-cost areas. Since many military bases are in high-cost areas such as San Francisco and Honolulu, this is very helpful. Home buyers should actively search all of the options, and ask their lenders about available programs that might meet their needs best. For instance, another great government program many home buyers overlook is the USDA rural housing loan. This is a program that offers excellent options such as low down payments for people looking at properties in rural areas and some low population suburban areas.